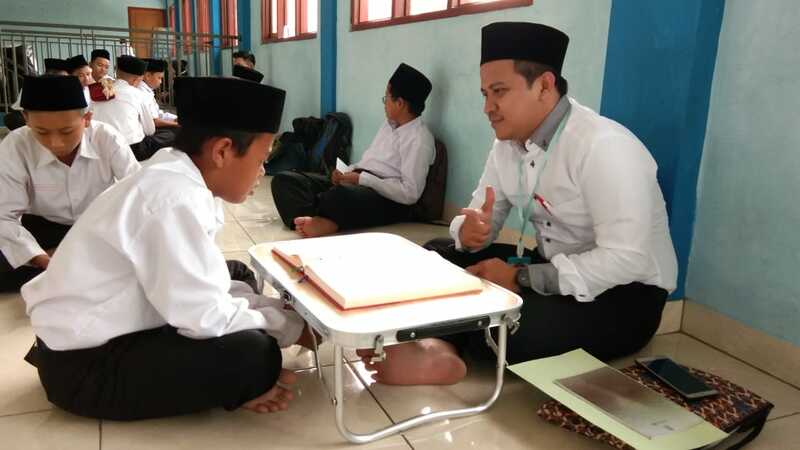 Bogor — The Family Association of Darussalam Gontor Modern Islamic Institution’s Bogor Branch administered preparatory examination for the admission examination to Darussalam Gontor Modern Islamic Institution. 120 participants attended the exam which was conducted by 50 teachers at Yasmin Islamic School, Bogor (4/1/2019). The participants will have a definite advantage in admission opportunities and learning progression in the entrance examination materials. “We are not just preparing them for education, but we are educating them to become outstanding candidates,” said Mr. Iwan Sunarya, the association’s president. This annual activity will be intensified in month of Ramadan before the entrance examination at Darussalam Gontor Modern Islamic Institution.